Continuing its support of its primary charitable partner, St. Jude Children’s Research Hospital, Carnival Cruise Lines’ shoreside employees recently raised $2,300 for the hospital through a “Beary Cuddly Workshop” activity held at the cruise line’s corporate offices. The bear sale at the Miami headquarters mirrors a program taking place throughout Carnival’s 23-ship fleet as part of the company’s Care to Play: Carnival for St. Jude Kids shipboard fundraising initiative. 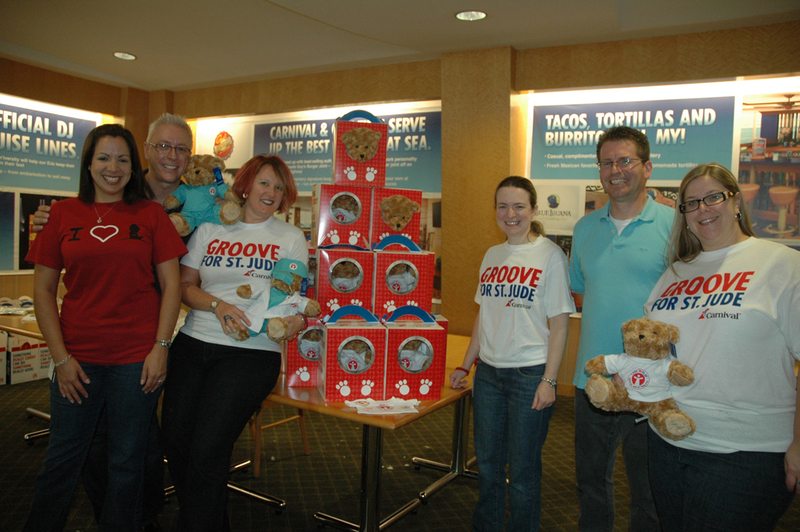 With a goal of raising $3 million over a three-year period, the Care to Play program also includes “The Groove for St. Jude,” a fun dance activity held once each voyage, and the on-board sale of “The Dream Plucker of Perrysport,” a highly imaginative children’s book based on creative stories and illustrations submitted by participants in the cruise line’s Camp Carnival children’s program.